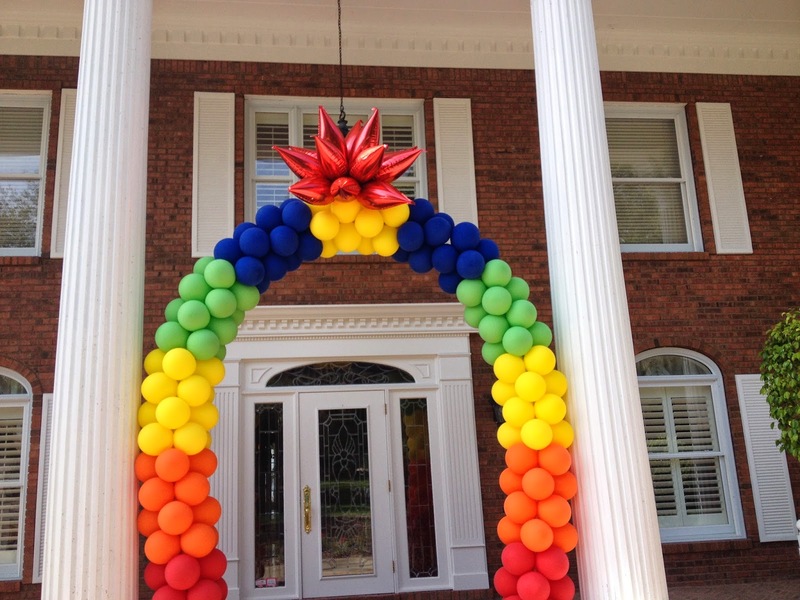 Our Client requested to have Bright Bold Arch to Greet her guest for her Grandson's High School Graduation party. 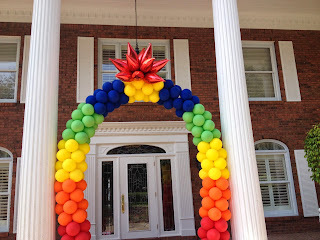 This Taper topped garland did the job! 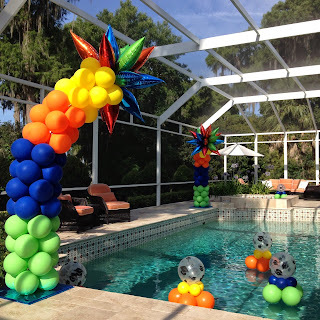 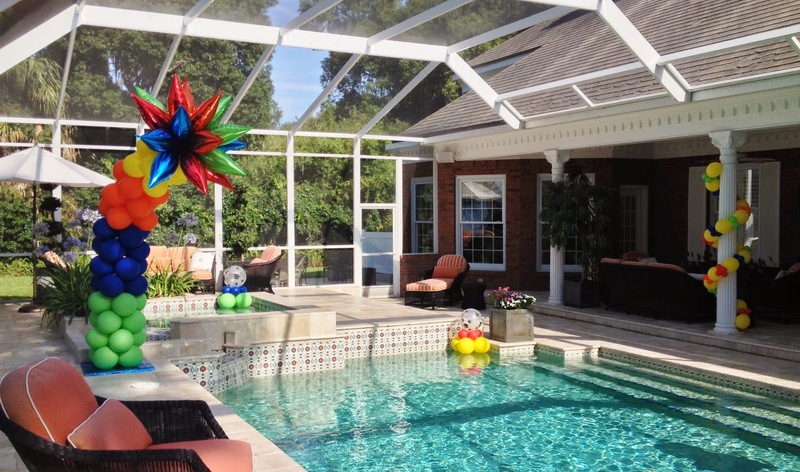 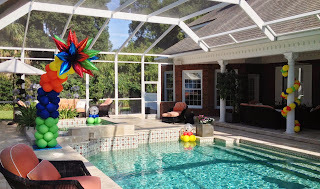 2 Taper Topped Arc's by the pool, and 6 pool floats created a festive area for guest to swim. 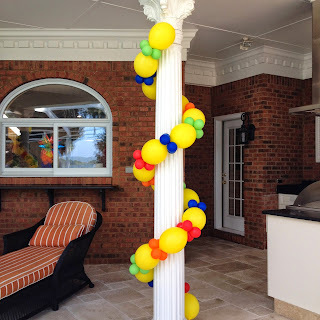 5 lovely white columns were wrapped with linking balloons to bring color to the Patio area for all the guest while they ate and enjoyed each other's company. 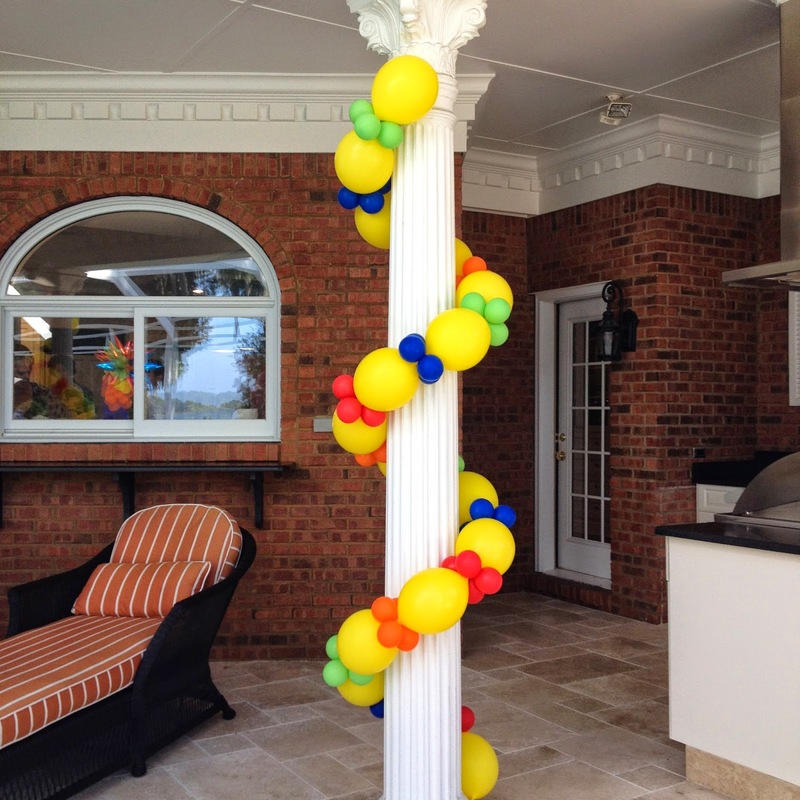 Linking balloon column wrap up close. 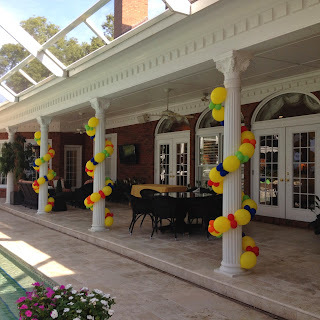 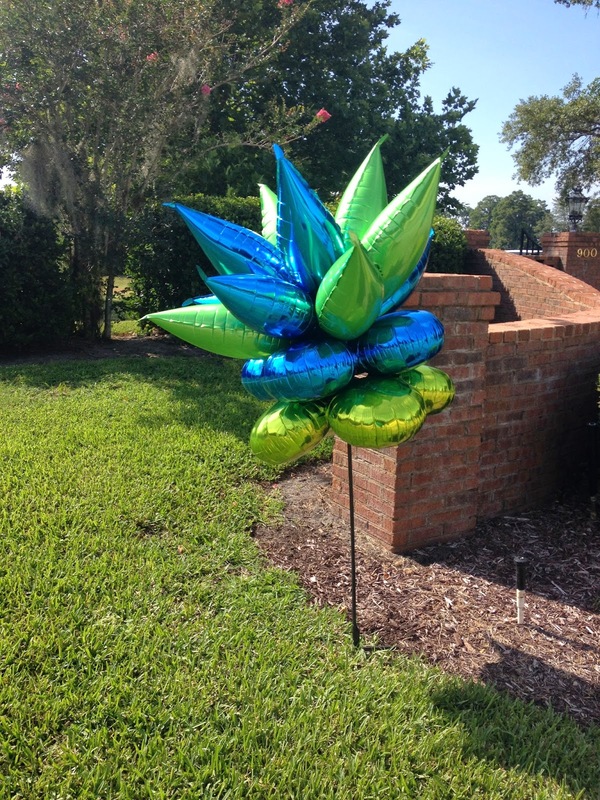 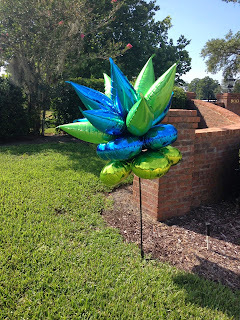 2 Foil Taper topped columns marked the Driveway for guest to know where to turn!